Vigen Memorial Home is Presenting a Life Saving Initiative to the Area. 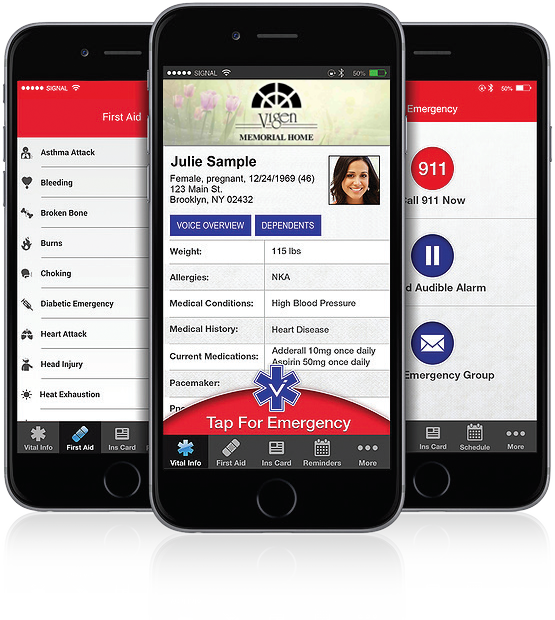 Vital ICE provides a platform on which to list your (and your dependents, if applicable) vital medicinal information, such as blood type, allergies, medications, medical history, ICE contacts, and much more. This information will then be readily available to EMS and other First Responders when they need it most. Please Download the App and Enter the Code 3377 to Start Using Today.